Fall nights call for comforting dinners. You know the ones? They make your house smell divine into the next morning. I shared the process of making this recipe in Instagram stories a few weeks ago and boy did it get some attention. I don’t know if it’s the bubbly goodness that happens over time or maybe Instagram installed a smelling component so you could smell how good it was through the phone. It was one of my more popular Instagram stories, that’s for sure. It’s also a really easy recipe so don’t let the ingredient list intimidate you. Step 1: brown the meat. 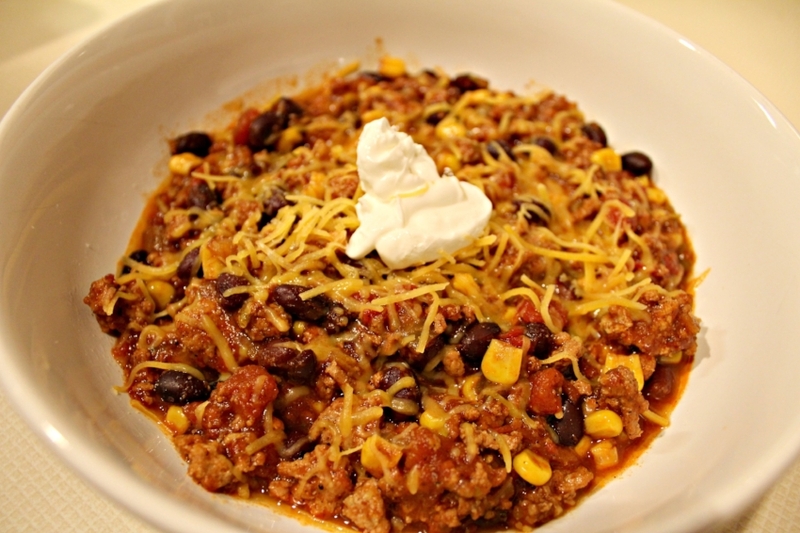 Since we haven’t had cold days yet, I wanted to keep this chili still comforting but a little lighter. Ground turkey is a great option to do just that. Like any other chili recipe, you want to brown the meat first. It brings out more flavor and you get the brown bits at the bottom of the pot which are your favorite flavor bombs. Draining ground meat lets you cut any excess grease. This is more important with red meat but still valid with turkey as well. Step 2: Soften the vegetables. You don’t want to just get the pot on the stove with raw onions and garlic. I mean, you could but it’s much better this way. Soften your onions, garlic and jalapenos before adding in the spices. All this will ensure great flavor. Step 3: Let it simmer. The longer the better. Full disclosure, when I made this recipe it simmered for about 3-4 hours because I got it on the stove early. But 1-2 hours is enough time to let it cook. The great thing about chili is that it’s flexible. Obviously you don’t want it to simmer too long or all the liquid will evaporate but anywhere from 1-5 hours depending on how much you’re making is a reasonable expectation. Just remember to stir it every so often. Disclaimer: this is a pretty spicy chili. 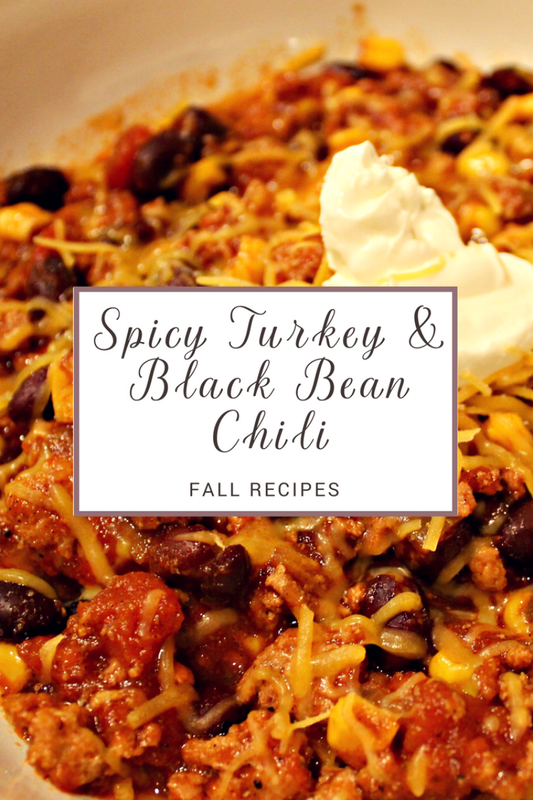 Between the jalapenos, spices and chiles, it has a nice kick to it. If you want to scale down the heat, use only one jalapeno and halve the amount of chili powder and cumin. That will give you a moderate spice level so your mouth isn't burning. I like when chili makes my nose run so this is exactly what I was looking for in the recipe. It's completely normal if you want something that's more mild though so halve those particular ingredients and you'll be good to go. How do you like your chili? Be sure to check out our fall recipe from last week, Beer-Braised Beef with Roasted Veggies. 1 - In a large pot, cook the turkey until browned over medium-high heat. Remove to a plate lined with paper towels to drain any excess fat. Add vegetable oil to the pot. Once heated, add the onions. Cook about 5 minutes until softened. Add garlic and jalapenos. Stir until softened, another 2-3 minutes. 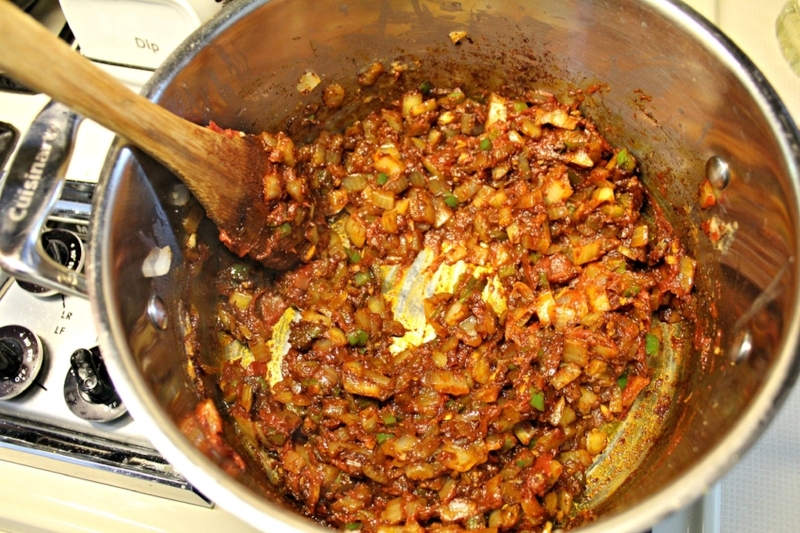 2 - Add the chili powder, cumin, salt, pepper and tomato paste. Stir until fragrant, about 3 minutes. This is mainly to let the flavors blend and allow the tomato paste to release it’s flavors. 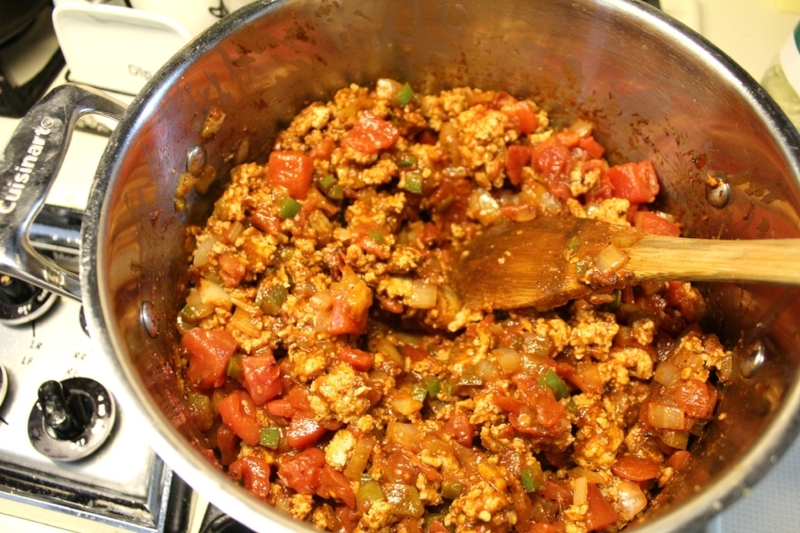 3 - Add the turkey back to the pot with the diced tomatoes and green chiles, diced tomatoes and beef stock. Bring to a boil. Simmer for 1-2 hours, stirring occasionally. The longer it simmers, the more the flavors develop. 4 - Add the beans and corn. Stir to mix. Let simmer another 30 minutes. Serve topped with cheddar cheese and sour cream, if desired.